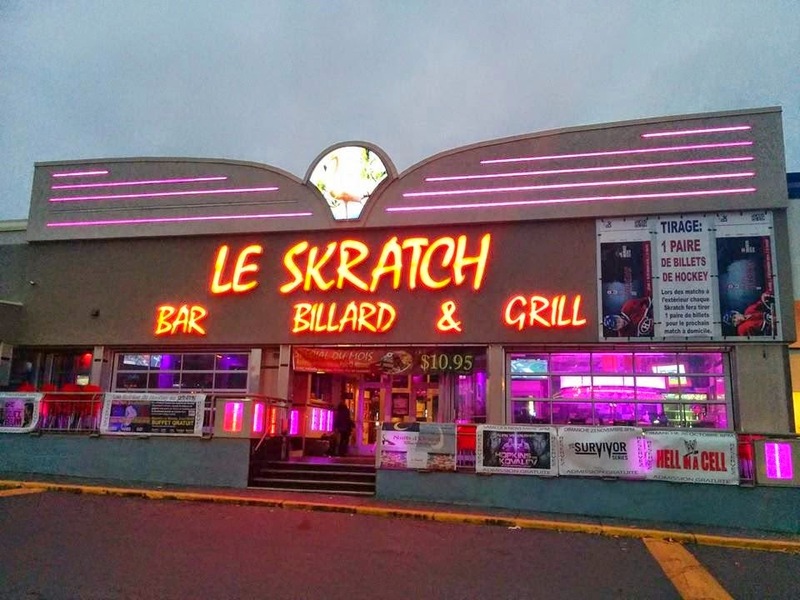 Yesterday I jumped in the car and drove just over an hour to take part in a "A" class tournament at Le Skratch Laval. After blowing a 6-1 lead in my first round match to lose 8-6 I battled for five matches on the losers side to finish in 5th. During my third match of the day something happened on the table next to me that stuck with me the rest of the tournament. For privacy sake I will leave the names out as it is really not the point of this article. A habit of mine is to watch what is going on on other tables in between my turn because it just eases the torture a bit for me. I happened to glance over to the left of me at a key time in the match, as what happened next to me determined the end result. There was only two balls left with the 9 on the spot and the 7 ball underneath and close enough that I would call the ref because a cut into the corner looked impossible without fouling. The option the shooter chose looked to be to play the 7 ball ball to the end rail safe and come back to center table. Keep in mind the opponent never chose to get up and get a ref despite having ample time to do so. The safety which I mentioned before was attempted and of course the 9 ball moved but as I was watching I saw the cue ball clearly hit the 7 first. Now what I think added to the confusion was that the 7 ball ended up drifting quite a bit as is notoriously the case at this pool hall, and happened to barely make its way into the pocket. As soon as the 7 ball dropped the opponent jumped out of his chair and suggested that what just occurred was a foul. I must say that what happened next is something I never saw before in a competitive match. After about 5 minutes of discussion the shooter was quilted into giving up ball in hand on the 9 ball, without getting the tournament director involved. The worst part of this for me was that I could tell that the shooter did not think they fouled but in an attempt to be gracious and avoid a scene conceded the game. As a competitive player myself I have several issues with what went on here. First the ref was not called so any close call automatically goes to the shooter with no questions asked. Second the player who thought it was a foul should have had the etiquette to not say anything at all as he is a veteran of this circuit and is well aware of the rules, meaning he did not have a leg to stand on argument wise. But this was a "move" as he tried to play on the timid nature of his opponent. As much as I hate the idea of someone making a move like this because one way or another it has an affect mentally on the rest of the match, if you want to have success as a competitive player you have to be more cut throat and have the confidence to defend your shot in this scenario. Giving up the rack might be considered the "nice thing" to do but in reality it was a mistake. It was almost predictable what happened the rest of the match as mentally the player who committed the "non foul" was broken. The frustration was evident as after the incident it was a blow out with the one player barely able to pocket a ball, and I believe only won one more game the entire set. To add insult to injury this was a losers side match. No one wants a good shot or a win to be taken away because they are called a cheater or lucky and so on. However the lesson here is yes you want to show sportsmanship and etiquette as overall we all know this is lacking in our sport. But by no means do you want these good qualities to work against you as it did in this particular match. It could be argued here that what the player sitting down did was in poor taste, but at the end of the day "this is war" as the great Earl Strickland has said, and some people will do whatever they can to win. It is important for all players to have the confidence and mental toughness to fight through these situations. Yes it might feel good to avoid an argument and rise above the situation, but that missed opportunity will weigh on you mentally the entire set and magnify any bad rolls you get and any good rolls your opponent gets the rest of the match. It is hard enough to win matches and tournaments so do yourself a favour and don't get swindled into giving anything away. Been there, Done that, Don't we wish everybody had sportsmanship?